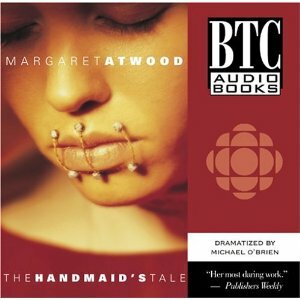 Review of "The Handmaid's Tale"
Given my attention to gender studies in college, I don't know how I got through my education having never read or even heard of "The Handmaid's Tale" by Margaret Atwood. This is a dystopian story told from the perspective of a woman who is used as walking womb for a rich family in the new regime. The world she lives in is described by the author as "the views of the traditional-values clan taken to its logical conclusion." The perspective of Offred, the narrator, is absolutely spot-on - describing only what she sees since women are not given information other than propaganda. The author demonstrates the seething revulsion the women feel for the men who control them, all the while keeping their voices down and their faces impassive. You feel their helplessness as you watch them go through their day. The book prompts the reader to wonder: would I obey to live? I absolutely loved this book and I'm sorry I waited so long to read it.